Limited on space? 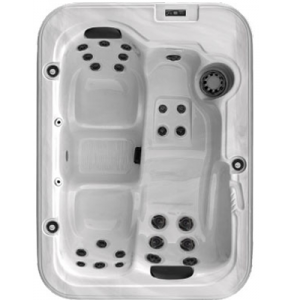 The C324 by Dynasty Spas is the tub for you! This corner unit fits comfortably in just about any location. Standard features include a cascading waterfall, underwater LED lighting, padded headrests, and user friendly digital controls. 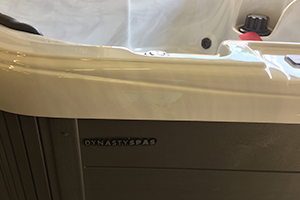 On February 15th 1995, in a small metal building in Etowah Tennessee, the owners of Dynasty Spas started working on what would turn out to be one of the fastest growing and most successful spa manufacturing companies in the world. These owners had a vision of a family owned manufacturing company that was not only customer service oriented but also innovative enough to produce the best quality spas in the world “one spa at a time” with features that were not offered by the large mass producers of spas. Today, Dynasty Spas employ’s hundreds of the industry’s best people and has a modern 300,000 plus square foot manufacturing facility on Interstate 75 in Athens Tennessee. The convenient East Tennessee headquarters is centrally located to 70 percent of the nations population and gives Dynasty a clear Advantage over most of the Western based competitors. The strength of Dynasty Spas comes from its distribution network that consists of over 500 dealers worldwide. 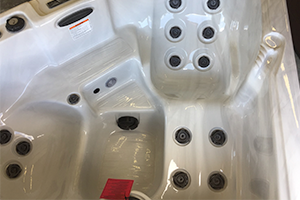 Some of the largest dealers and distributors in the world have chosen Dynasty Spas as the manufacturer that they trust to deliver consistent quality spas. Because of the diversity in the product lines, Dynasty is able to supply the dealer that sells one spa as well as multi billion-dollar distribution networks. All equipment is tested before installation, which ensures trouble free start-up. 140 Point Quality Control inspections. One of the most vigorous in the industry. Sculptured extended spa lip – Lets water roll out of spa without settling on the cabinet. This prevents exterior water damage. A wide variety of price points designed to fit any budget. No haggle in-house warranty program. Eliminates third parties. A wide variety of 1, 2 or 3 Pump systems that range from 5 horsepower to 7 horsepower. Reverse Pull technology – maximizes the hydro-massage while reducing the amount of water splash. Oversized plumbing; Allows water to flow more consistently and increases power. Multiple air and water diverters enable the user to control water flow at each seat. Optional DynaSound™ stereo system that provides the ultimate listening experience. LED Lighting, Lighted hand rails and footwells add ambiance and create a visually stimulating atmosphere, while providing extra safety. 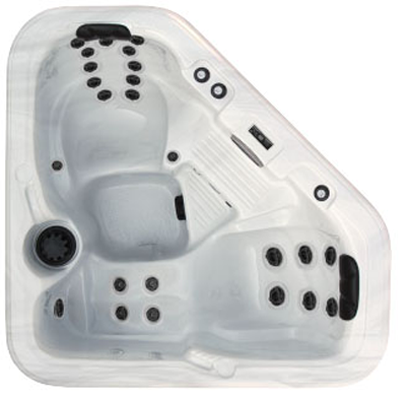 Multiple jet styles and various seating positions provide the ultimate hydrotherapy massage. 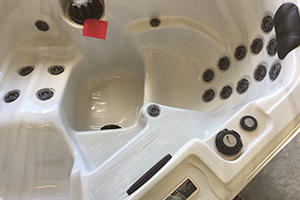 Ozone equipped spas reduce the need for chemicals, saving you money and extra expense. Lucite® acrylic sheet. The industry standard for acrylic spa surfaces. 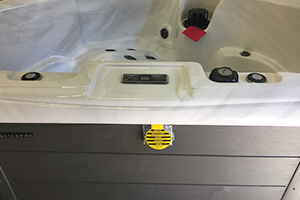 Young’s Hot Tub Sales & Service Center, Inc. is an authorized dealer of Dynasty Hot Tubs in Union City, Erie, Warren, Buffalo, Jamestown, Meadville, Conneaut, Ashtabula, Pittsburgh, Cleveland, and throughout the Western Pennsylvania, Northeast Ohio and Western New York area. 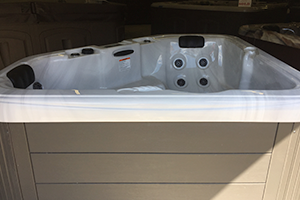 Stop out today to take a look at the Dynasty Spas on display in our showroom. 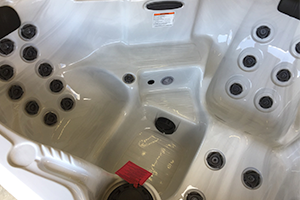 To see more of the C324 and L524 hot tubs, click on the links above. Still have questions? Submit a PRODUCT INFORMATION FORM or call us at 814-438-2512 or text 814-720-7943.